Does your home or office need a new look? 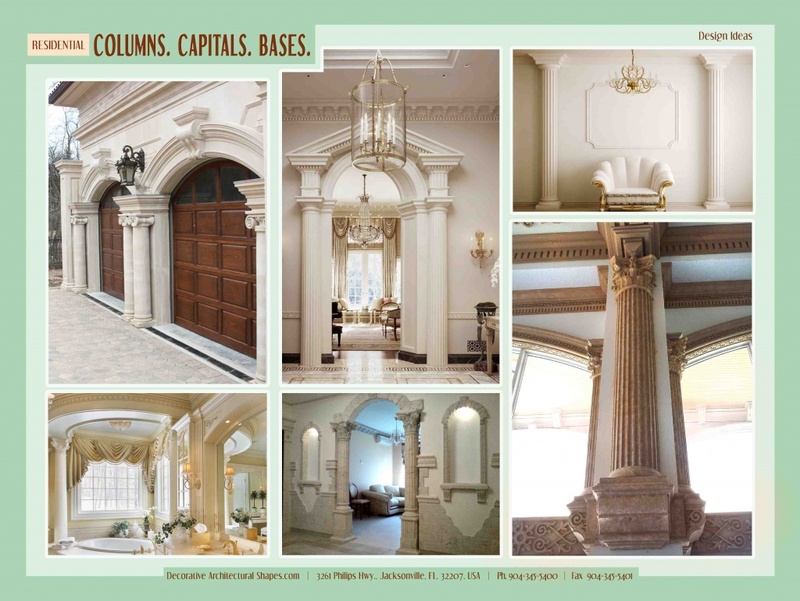 Classic columns are the answer. 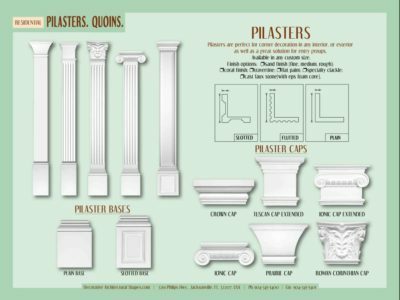 Decorative Architectural Shapes manufactures and installs Doric, Ionic, Corinthian, or Tuscan columns and pillars to enhance the facade of any building. First used in architecture during the Renaissance, these elements are both functional and decorative. 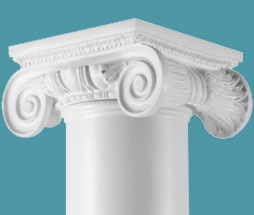 Fluted columns and pillars are a beautiful way to support a roof or beam, or frame a doorway. You can use porch columns and Roman columns to highlight an entrance. 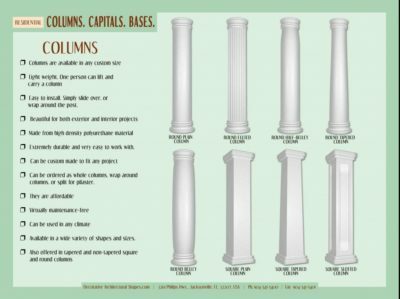 Whether you chose ornate scrolls of a Doric column or the simpler lines of an Ionic column you will find they will not only enhance your property today but increase its value in the future. 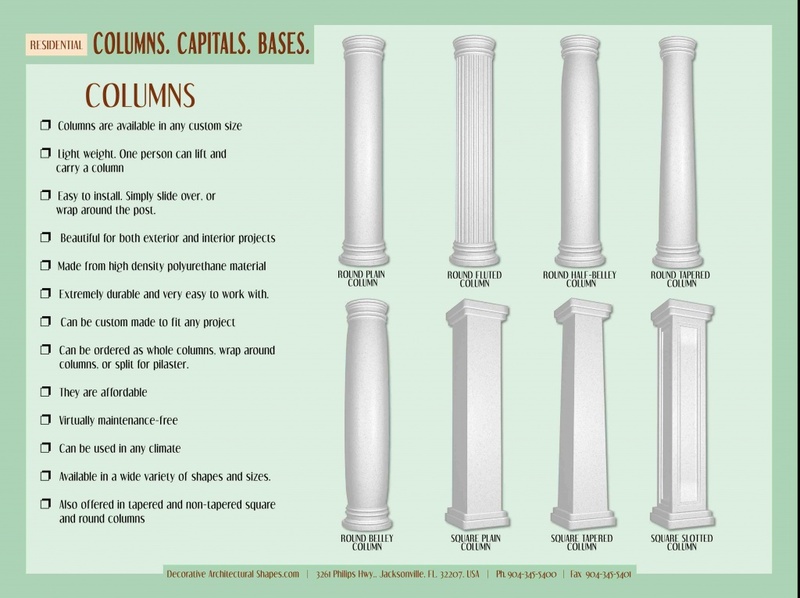 A COLUMN is an upright pillar or post. 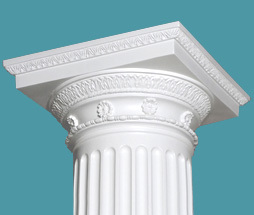 Columns may support a roof or a beam, or they may be purely decorative. The lower portion of a column is called the base. 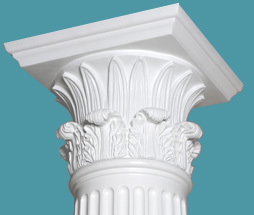 The upper portion of a column is called the capital. The area which the column supports is called the entablature. 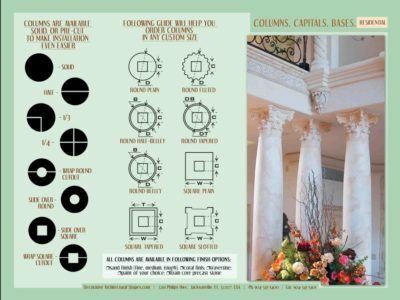 Classical columns are built according to the Classic Orders of Architecture as recorded in the late 1500’s by the Renaissance architect, Vignola. 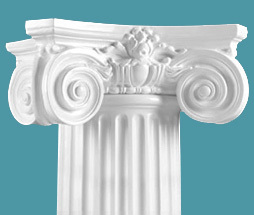 All columns in our collection are classically designed crafted to the highest standards and will be a great addition to any home. 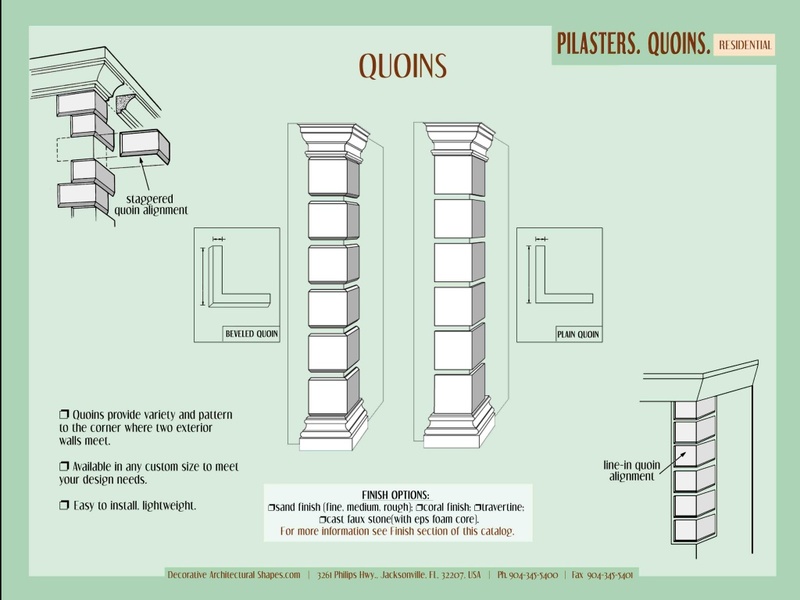 Columns are made from a high-density polyurethane material that extremely durable and very easy to work with. 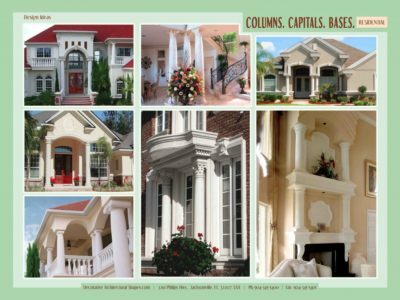 Our columns can be custom made to fit any project and can come as whole columns, wrap around columns or split for pilaster. They are affordable and virtually maintains free. Come in many shapes and sizes. 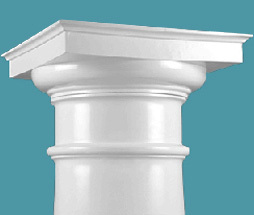 We also offer tapered and non-tapered square and round columns that can meet the needs of any project. Extremely durable and very easy to work with. 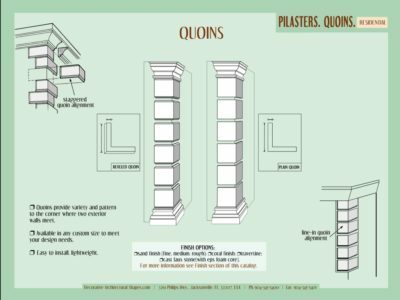 Can be ordered as whole columns, wrap around columns or split for pilaster. We can customize many of our products to make sure that it meets your project scope and design. 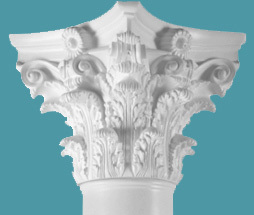 When it comes to decorative columns, Decorative Architectural Shapes strives for excellence in quality, detail and variety to make sure we meet our customers’ needs. 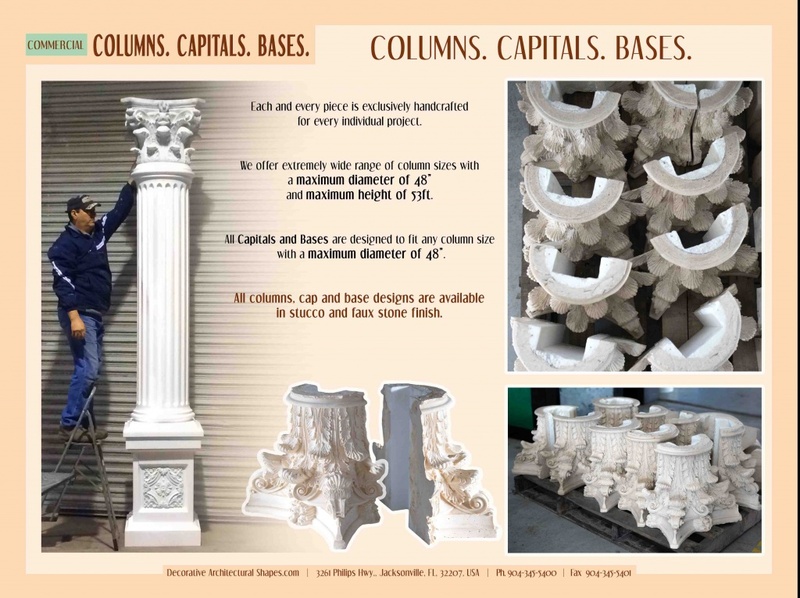 Decorative Architectural Shapes offers a wide range of column covers in several materials to fit our client’s needs. Our round column covers for exterior use are available in our cast fiberglass and wound fiberglass columns. A non-tapered option is also available if size constraints limit the width of the column. If what you need is not listed as one of our standard decorative column products, for usually minimal or at no extra cost at all, we can customize many of our products to make sure that it meets your project scope and design. 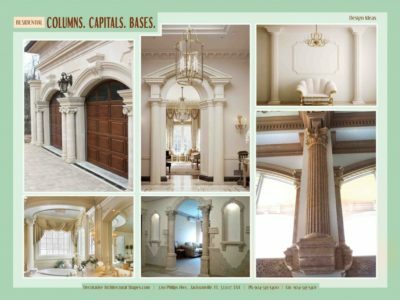 When it comes to decorative columns, Decorative Architectural Shapes strives for excellence in quality, detail and variety to make sure we meet our customers’ needs. 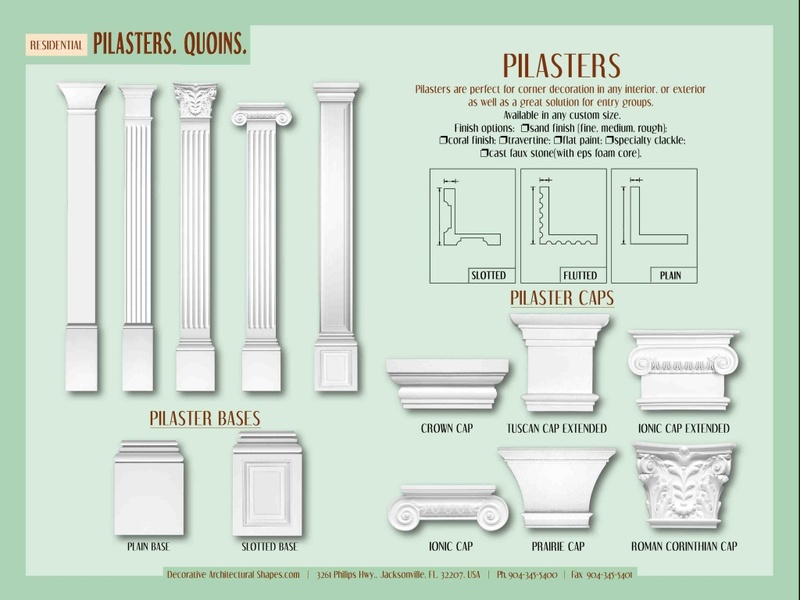 Decorative Architectural Shapes offers a wide range of column covers in several materials to fit our client’s needs. 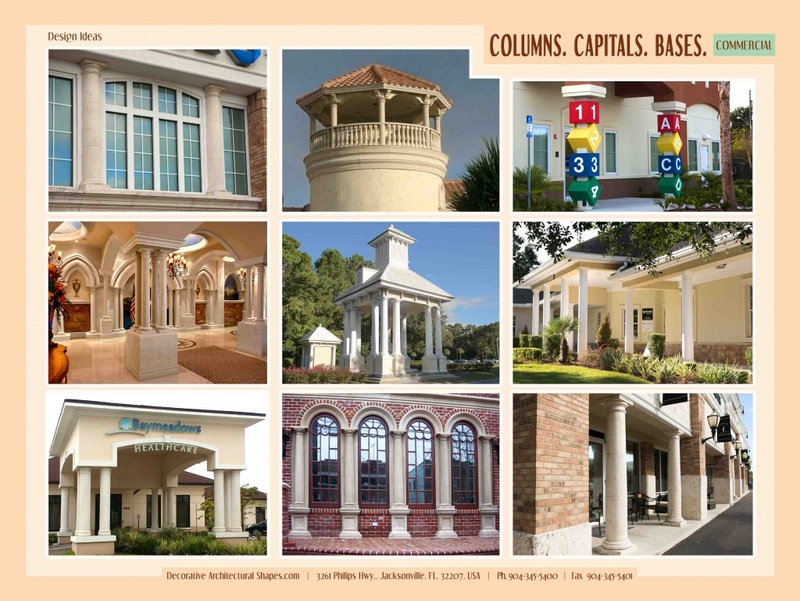 Our round column covers for exterior use are available in our cast fiberglass and wound fiberglass columns. A non-tapered option is also available if size constraints limit the width of the column.